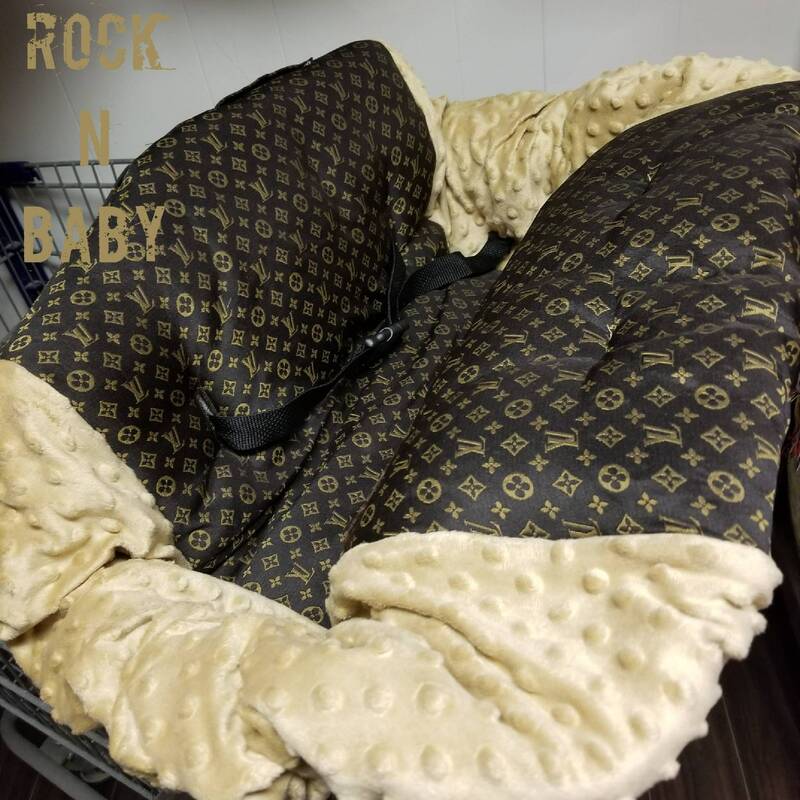 Car seat canopy. 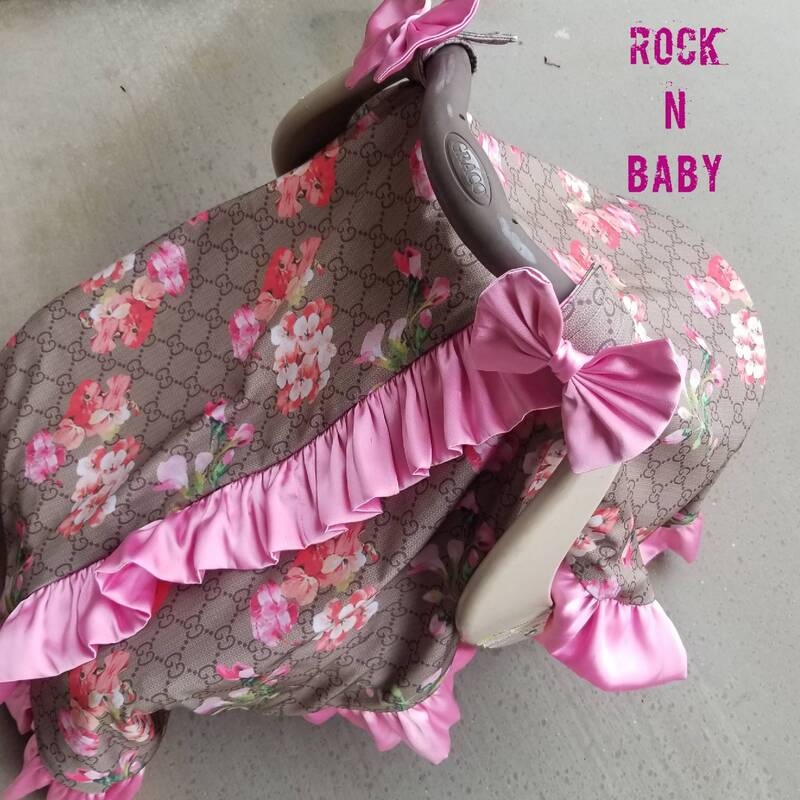 Infant canopy tent, Carseat cover. 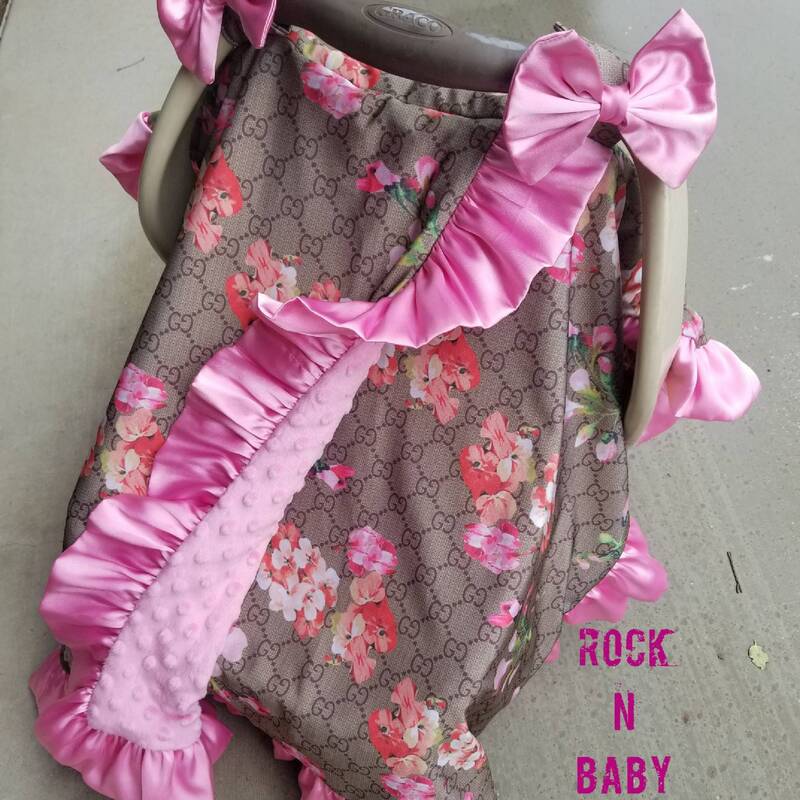 Floral Gucci inspired fabric on top, bubblegum minky dot fabric on the bottom, finished with a bubblegum satin ruffle and matching bows. ...your options are endless! Contact us for example colors if you can not find in our shop. 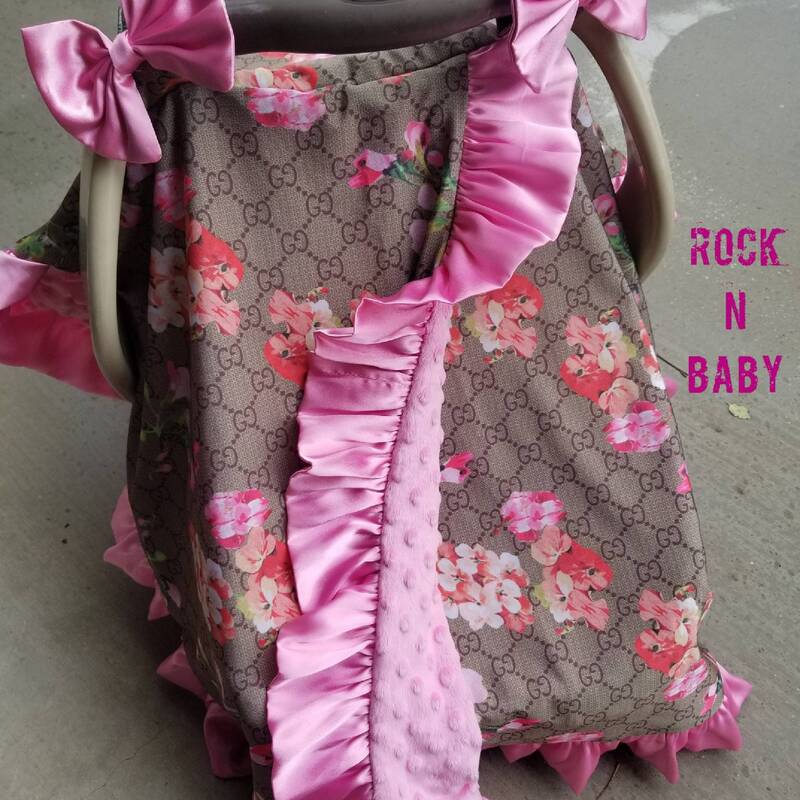 This is not a licensed Gucci item. 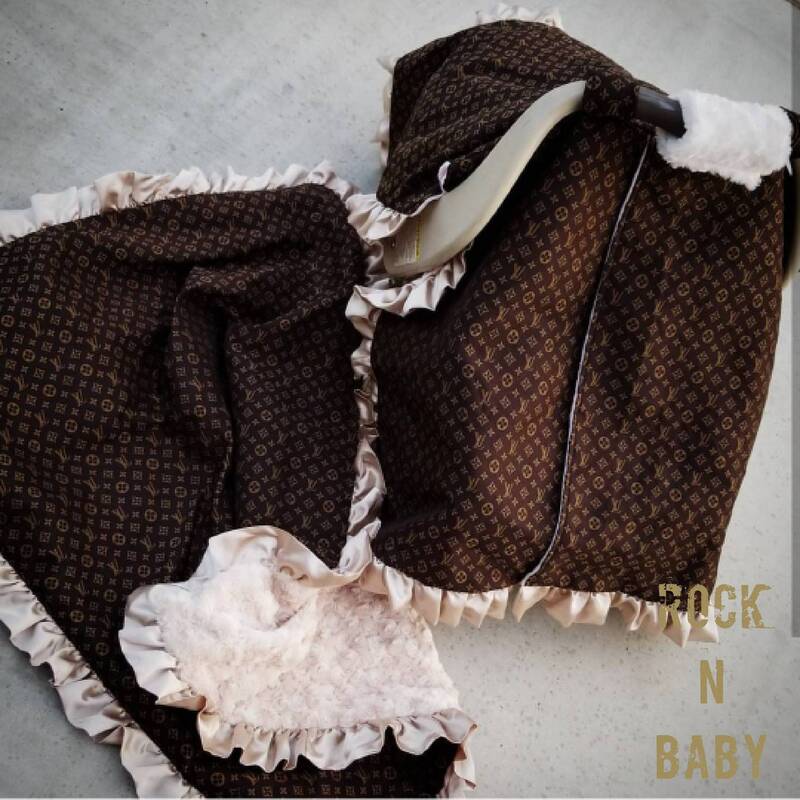 It's a custom handmade item, made to order with licensed fabric. 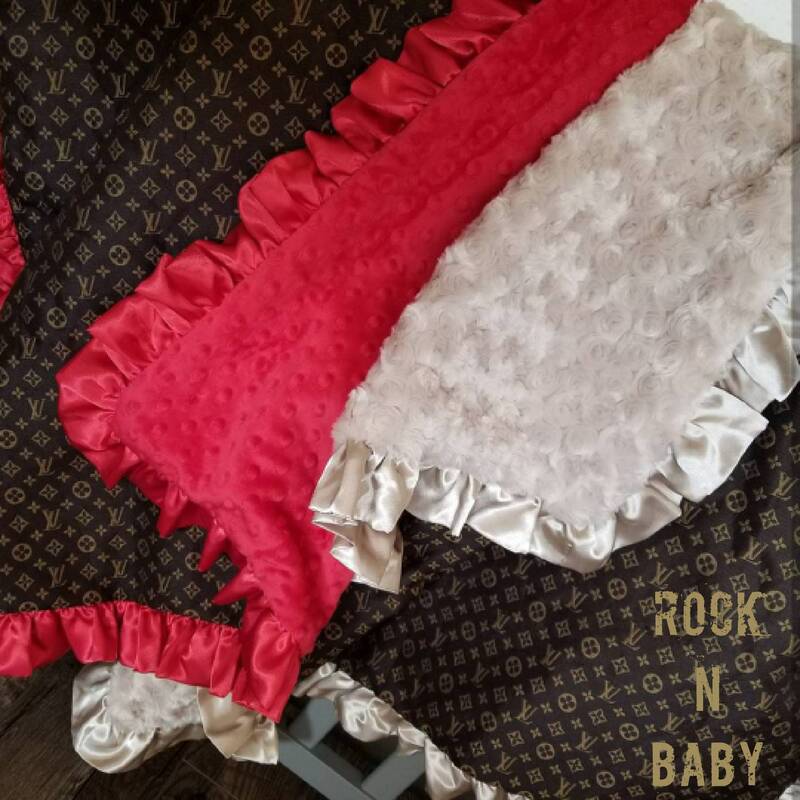 Love this fabric? We can use it to make any of our items.